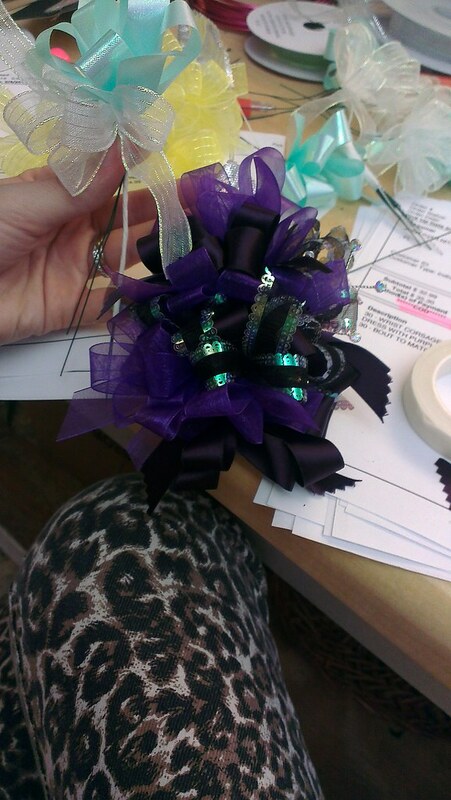 Keira Lennox - reliving high school, one prom order at a time. 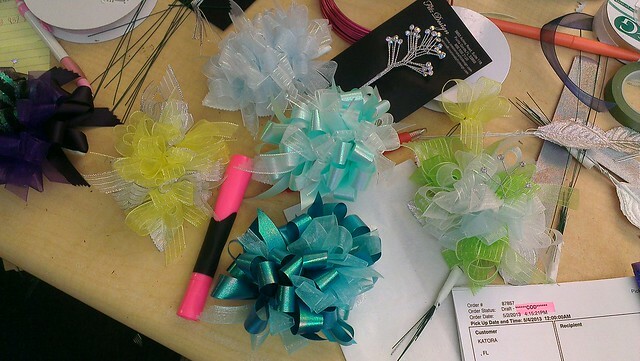 reliving high school, one prom order at a time. 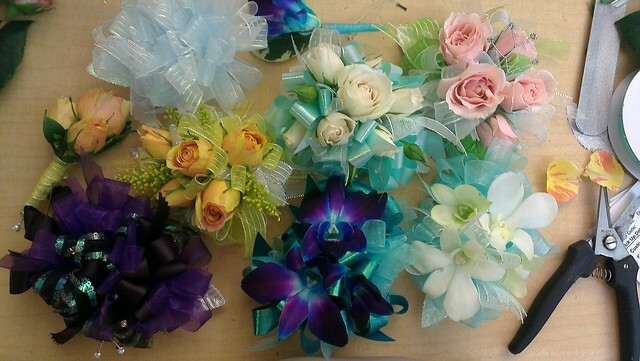 I spent most of last Thursday, Friday and Saturday designing corsages and boutonnieres for the prom-attending upperclassmen of my alma mater, with mild to moderate heart palpitations at the realization that my own senior prom was ten years ago. It feels like just yesterday that I was cruising around in my white ’97 Jeep Cherokee with the windows down — cranked by hand, mind you — listening to Incubus, The Get Up Kids, and the Dixie Chicks and spending my entire [tiny] paycheck on clothes, eyebrow waxes, tanning salons, and mani/pedis. 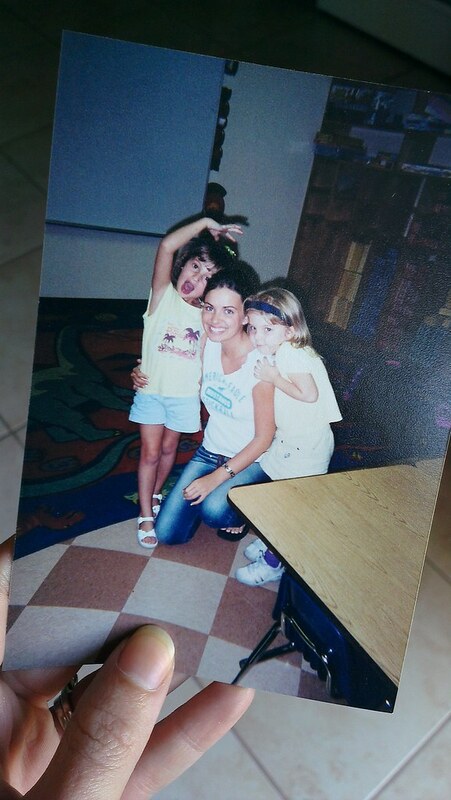 Now I’m thinking about my 10 year reunion. What the what?! my 800th blog post, what?! the calm before the storm; mother’s day 2013 edition. Those are fantastic!! I wish corsages were socially acceptable in a variety of settings..
Oh, how nostalgic!! I hope the corsage tradition never goes out of style! I think it’s so sweet and they are such beautiful little works of art! My prom was 23 years ago!!! Yikes! Omg I am just crazy About your blog . Can you please just check mine and telle me what you thing About ? It will make my day ,Really. I’m so glad you found my blog and that you love it! What a compliment, because I also love your blog, and am a fellow bargain shopper. ;) I can’t remember the last time I paid full price for something, and I almost get as much of a thrill seeing the adorable outfits you put together than I do shopping for them! It’s so refreshing to find someone who isn’t posting Vogue items that cost more than my rent. I really appreciate how relatable your posts are – that and I love flowers, so you’re def. one of my favorite reads! Thanks so much for following, and hopefully I’ll have plenty more good stuff to post about in the future! Such a sweet way to look at it, Jackie!! Nice work! It was only a few years ago that I attended my senior prom… time flies!